(Photo Credit: Sebastian Heger) Anthony Ogogo (8-0, 4 KOs) will make his long-awaited return to the ring on May 28 at the SSE Hydro in Glasgow, live on Sky Sports. 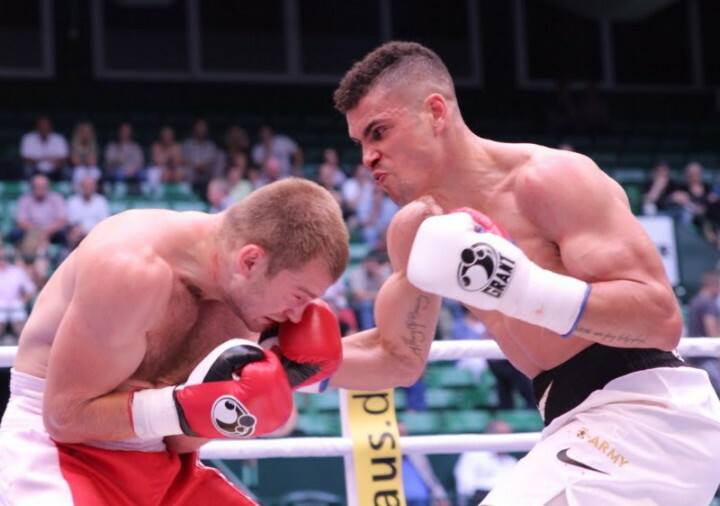 Unbeaten Ogogo’s professional career has been stop-start so far due to injury, with the 2012 Olympic bronze medallist set for his first action since July where he moved to 8-0 with a win in Germany over Ruslan Schelev. It was in that fight where he suffered a dislocated shoulder, fighting for the majority of the bout with just one arm, and the Lowestoft man’s outing in Germany was at the time also his return from a sustained period on the sidelines following Achilles problems. But the 27 year old insists his injury woes are behind him and he’s ready to get his career back on track and make a huge impact in the middleweight division.